This standing floor fountain features a vertical bed of river stones awash with gently cascading water. The beauty of nature blends with the work of man in this urban style indoor and outdoor floor fountain. Constructed of resin, this curved, standing design features a vertical bed of faux river rocks that glisten wonderfully as water glides down to the basin below. 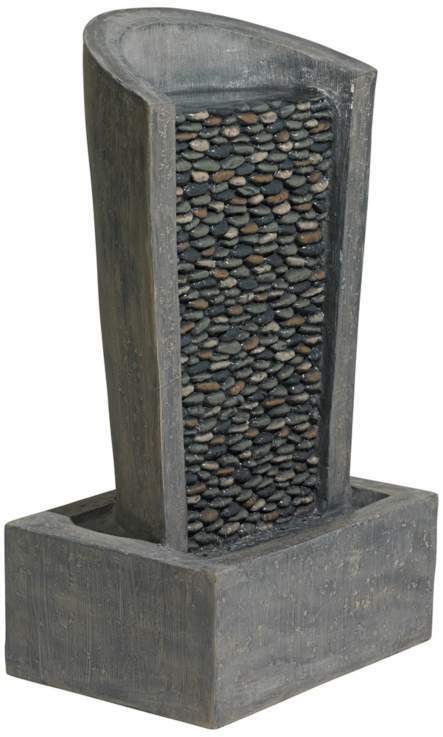 The falls on this fountain create a beautiful, and serene, home accent. • Indoor or outdoor fountain. • Concrete and natural river stone look. • Includes 6 feet cord.